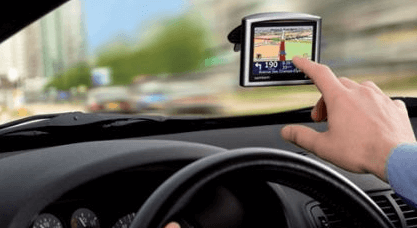 What does GPS tracking or Geographical Positioning System mean? The GPS is a unit which tracks the exact location of a vehicle, person or any physical asset when it is attached to it. It is a satellite based tracking unit to track any object. Why is it important to use GPS tracking for Vehicles? It helps in safety of vehicles that are used in lot of fields and improves productivity of the organization. Most of the companies are facing stolen cases, therefore, with the help of GPS services it has become easier to track things. It happens real time and at the same time the cost to the customers is very low. Secondly it helps improve productivity by reducing hindrances to the driver where the fuel consumption can be controlled very much. For a business owner, it helps to locate and monitor employees work-schedule, on the go. It is easier to maintain employees time and efforts. The GPS has helped businesses to track the endpoints where the employee has driven to, the number of stoppings that the employee has made in the vehicle, the time length of such stoppings etc. This has helped maintain clear records of reporting and maintenance of data to the employer. The systems also has wireless downloading feature that help govern the speeds of the vehicle with which it is driven. As a result, helps check mileage. A six years ago, no one knew about this technology but today, everyone had embraced the GPS system and no one is without it. The reason is the satellite usage is free and therefore, it is easier for companies and businesses can comfortably use this technology. It can be a money-saving tool for your business, if you have a fleet of vehicles to provide better customer service. It improves the company’s reputation moreover, by prompt delivery management system which governs estimated time of arrival through this system. There is more efficient communication between businesses and between employees and employers as well. There is enhanced asset management and vehicle security for the business. And for the employees, it is safety to them and better performance monitoring ability governed on vehicle’s engine and components.